Hip Baby Blog: Hung by the chimney with care! 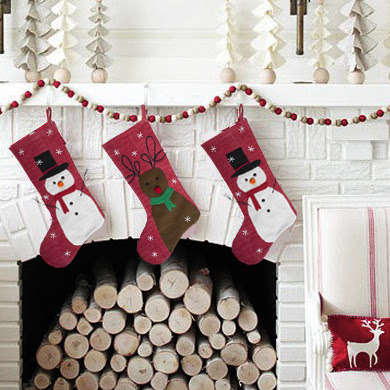 These heirloom quality holiday stockings from Tag are hand-cut, hand-embroidered, and hand-assembled. Made from 100% cotton with a wool felt snowman or reindeer design, they are sure to become part of your christmas traditions for years to come!